Amarinder Singh also stated that Sidhu's decision to attend the ceremony in Pakistan was made in his personal capacity. 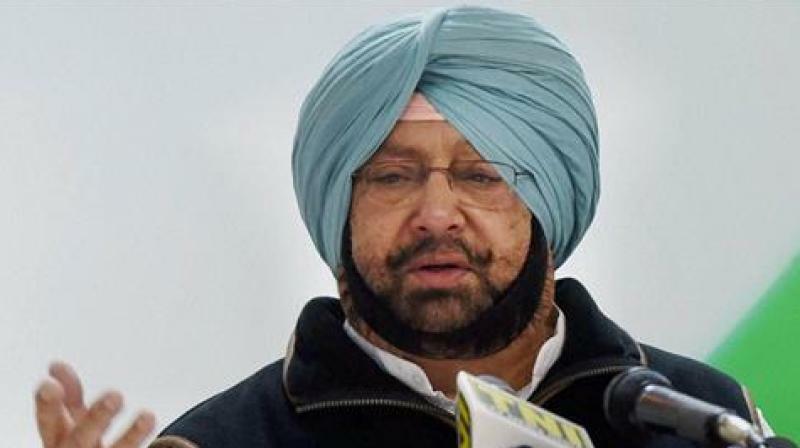 Chandigarh: Punjab Chief Minister Amarinder Singh on Sunday criticised his cabinet minister Navjot Singh Sidhu for embracing Pakistan Army Chief Qamar Javed Bajwa during Imran Khan's swearing-in as Pakistan Prime Minister. "As far as hugging the Pakistan Army Chief is concerned I am not in its favour. It was wrong for him to have shown affection towards the Pakistan Army Chief at a time when our soldiers are being martyred," said Singh. He further added that his own regiment lost one Major and two soldiers a few months ago. Singh also questioned casualties due to firing from the Pakistani side of the border, "Whether the man who pulled the trigger is to be blamed or the man who gives the order? Which is the chief, and the chief is General Bajwa." Amarinder Singh also distanced himself from Sidhu's decision to attend the ceremony in Pakistan, stating that the visit was made in his personal capacity. "As far as attending the swearing-in ceremony is concerned, he went there in his personal capacity so it has nothing to do with us. About him being seated next to the PoK President, maybe he (Sidhu) didn't know who he was," added the Chief Minister.